Unlike most of their competitors, Nadex is actually a U.S. exchange. The name is an acronym for North American Derivatives Exchange. Nadex is based within the USA and is legally permitted to accept U.S. residents as clients. Non-U.S. residents are also welcome. Nadex is regulated by the US Commodity Futures Trading Commission (CFTC). 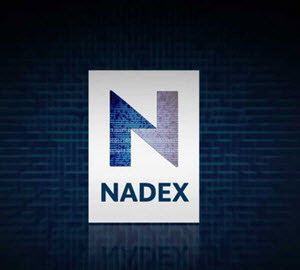 Nadex is owned by UK based IG Group, a company listed on the London Stock Exchange. Nadex is an exchange where you can buy and sell on either side of the market and set your own prices. If another party is willing to agree to your terms, a deal will be made. You start by selecting asset and expiry time. The Finder window, located to the left, is very easy to use. When asset and expiry time has been selected, the Markets window will update and show potential price levels. Then just follow step-by-step until you have created the binary option you wish to buy. A trading ticket will confirm expiry time, price level, bid size and current bid and offer prices. Select the sell or buy button and enter the size or investment level. Along the foot of the ticket, you will see information about possible payout and possible loss. Click Place Order to confirm the trade. If the trade is matched, it will appear in the Open Positions window. Unmatched orders go to the Working Orders window. 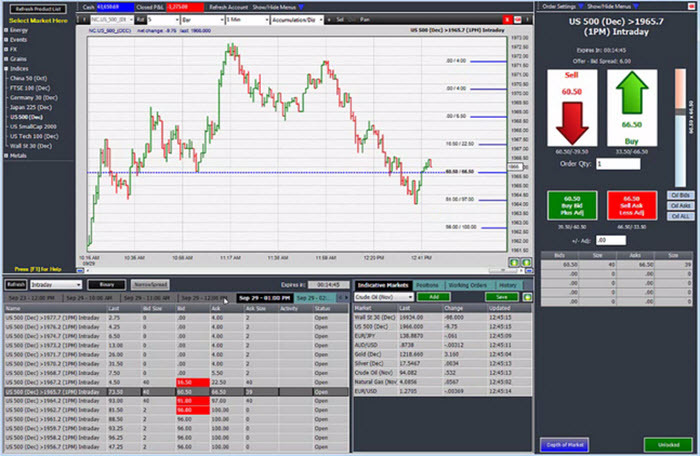 A mobile trading app is available for both iOS, Android and Windows Mobile. Unlike many of their competitors, Nadex has apps for both smartphones and tablets. The ability to purchase binary options based on certain events, such as a fed fund rate increase, sets Nadex apart from many other binary options sellers. The payout on a binary option at Nadex depends on the level on which the trader opened the trade. E.g. if you buy at 50 and the make up is 100, the payout is 100%. If you bought at 75 and the make up was 100, the payout is roughly 33%. There is a charge of $0.09 per lot. The fee is capped at $9. U.S. residents can use debit cards, wire transfer or ACH transfer to deposit funds. Non-U.S. residents can only use debit cards and wire transfer for deposits. If you make a wire transfer that exceeds 5000 USD, Nadex will refund the 20 USD banking fee. U.S. residents can use wire transfer or ACH transfer for withdrawals. Non-U.S. residents can only make withdrawals through wire transfer. Nadex charges a 25 USD withdrawal fee for withdrawals made through wire transfer, and you can expect to have your withdrawal processed the day after making your request. With withdrawals through ACH transfer Nadex charges no withdrawal fee, but the processing time is longer, typically 3-5 days. You will get access to a demo account without having to do any deposit first. You only have 15 days of demo account access. If you think you’ll need more time, contact the customer support – they have the ability to prolong your access at their own discretion.